In 2004 EIGSI, an engineering school located in La Rochelle, undertook the challenge of expanding overseas with an innovative project. Morocco was then witnessing an industrial boom; there was an acute need for engineers (EMERGENCE plan), the scientific level of Moroccan high-school students was recognised and French companies were well established there. A meeting with Moroccan and French authorities in Morocco confirmed the need for engineers, which was well in line with EIGSI’s general engineering training. And EIGSI Casablanca thus opened in 2006. Two campuses and a single governance structure: EIGSI chose to maintain full control over the project, particularly in terms of strategic choices, values, training programme and quality. The school thus leveraged upon a common academic department and international department, support services based at the La Rochelle campus with responsibility for both campuses. This model allows EIGSI to implement the same skills framework on both campuses: training programme, school calendar, degree award criteria. 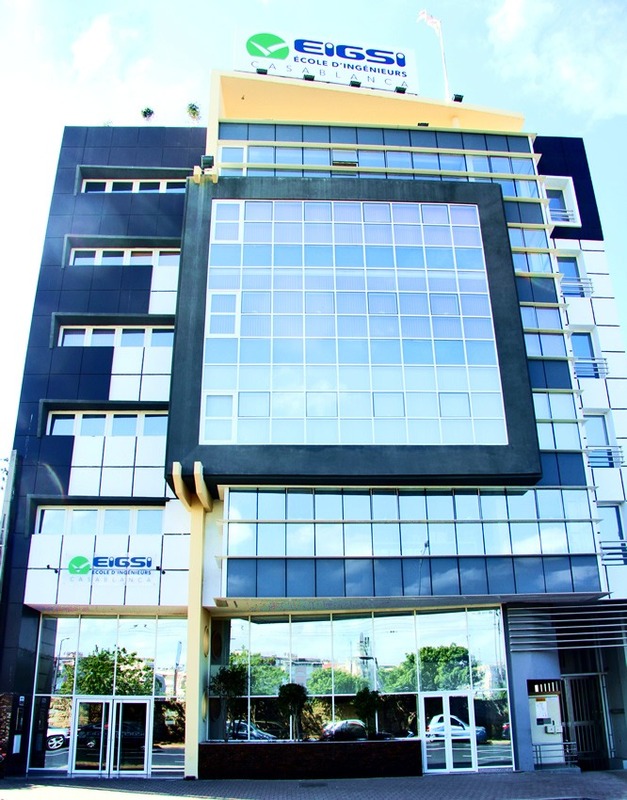 With the objective of delivering one and same degree at both campuses, EIGSI submitted an application to the CTI in June 2009 for accreditation of the Casablanca campus. A first audit was conducted in 2012. However due to the absence of an agreement between the two countries, CTI’s approval could not be issued. It was not until 16 May 2017, following the CTI’s procedure on multi-site engineering schools, that an accreditation could be granted to an overseas campus of a French engineering school. On 11 July 2017, CTI extended EIGSI’s accreditation to its Casablanca Campus. This was a first accreditation for a French engineering school. A great satisfaction for a unifying project which is part of the strategic plan of overseas expansion. The professionalism and strong commitment of the teams was key to the successful setting up of the EIGSI campus in Casablanca. A growth driver, the EIGSI Moroccan campus has its own premises since the start of the 2016 school year. It covers 4,700m2 in the heart of Casablanca, close to the university cluster and business parks. This initiative has enhanced EIGSI‘s reputation and contributed fully to its international dimension. It is ranked 2nd behind Polytechnique for its international openness, according to the 2017 Usine Nouvelle ranking. Growth prospects in Morocco and more broadly in Africa: the objective of the Casablanca campus is to graduate 100 engineers per year within 5 years. One third of students come from Sub-Saharan African countries where EIGSI has long-standing partners. Since 2006, EIGSI has endeavoured to develop a partnership thrust with businesses and research academics. Alongside ENSEM, the Moroccan engineering school, EIGSI Casablanca is a member of the Board of Directors and Scientific Council of the Research, Development and Innovation Centre of Greater Casablanca, whose objective is to support the growth of businesses and prepare managerial and engineering staff for new engineering specialities.